Turkish opposition figures have called for the results of Sunday’s referendum granting new presidential powers to be annulled, citing unstamped ballots given to voters. The electoral board insists the referendum result is valid, however. It is illegal to count the unstamped ballots as valid, Tezcan said. He added that his party had received complaints from a number of regions where people couldn’t vote in privacy, with some ballots counted in secret, as cited by Reuters. "At the moment it is impossible to determine how many such votes there are and how many were stamped later. This is why the only decision that will end debate about the legitimacy (of the vote) and ease the people's legal concerns is the annulment of this election by the [electoral board]," Tezcan told a news conference. According to the chairman of the High Electoral Board (YSK), Sadi Guven, the last-minute decision to use the unstamped ballots was not unprecedented. He insisted the step had been made before the results were entered into the voting system. “The members of some election commissions, despite the education we provided, despite the information we gave them, made mistakes. Due to those mistakes, we have made this decision, not to violate the voters’ rights for the expression of their will. It's not the first time we have made such a decision. 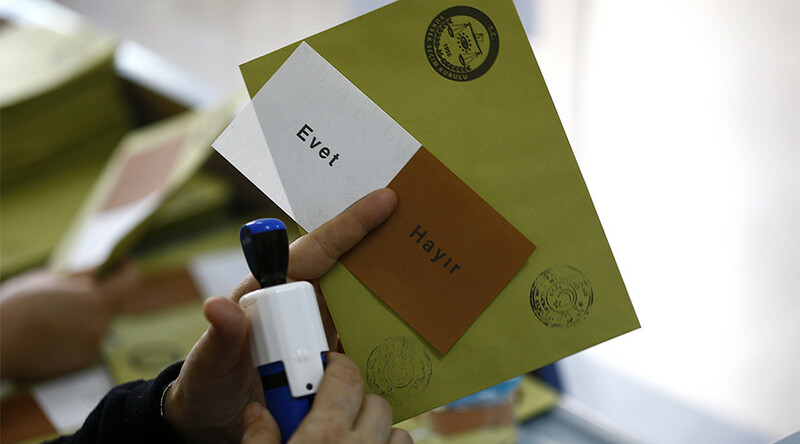 Previously, ballots were accepted as valid, unless proven otherwise,” Guven was reported by HaberTurk as saying. Members of the ruling AK Party, as well as opposition representatives, were at nearly every polling station and signed off the reports, the chairman said. However, this did not satisfy participants of the ‘No’ campaign, with CHP head Kemal Kilicdaroglu saying that they would demand a recount of up to 60 percent of the votes. The politician also slammed President Recep Tayyip Erdogan for seeking a "one-man regime," and added that the proposed presidential changes would put the country in danger. 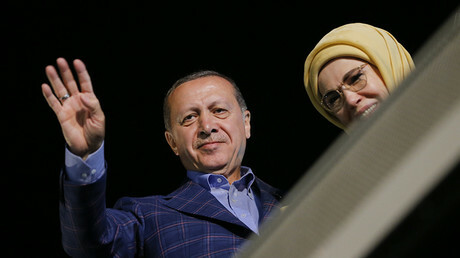 Erdogan announced his victory in Sunday’s tightly-contested referendum, with about 25 million Turks supporting his proposal and the ‘Yes’ camp garnering some 51.5 percent of the vote, according to the latest figures provided by Reuters. "For the first time in the history of the Republic, we are changing our ruling system through civil politics. That is why it is very significant," Erdogan said. The final results are set to be announced within 11-12 days after the vote, RIA Novosti reported. Most of the changes prposed in the referendum will come into effect following the 2019 elections, but essentially they will see more powers given to the country’s president. The president will appoint the cabinet and a number of vice presidents, and the country’s leader will be able to dismiss senior civil servants without obtaining approval from the parliament. Critics say this will allow Erdogan to stay in power until 2029.